Priced in low, check comps in the area. This won't last long. 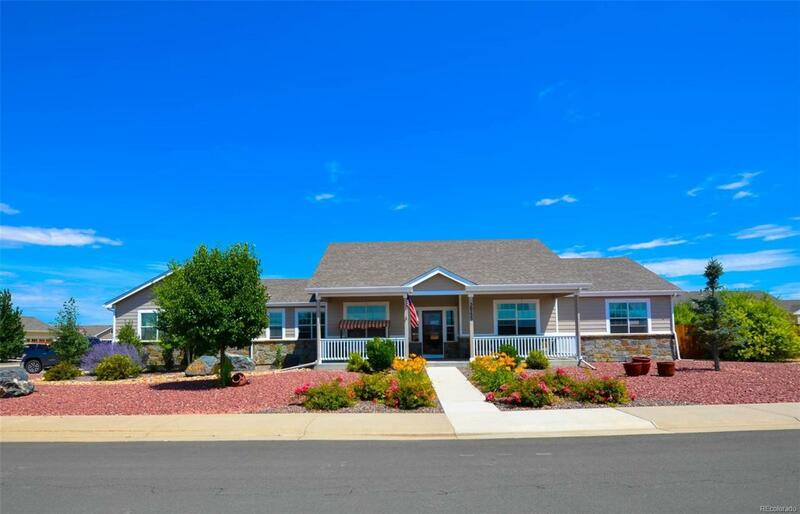 Beautiful Ranch home sits on 0.33 acre corner lot with low maintenance front and back yard. So many upgrades in this home. Kitchen with upgrade cherry cabinets, slab granite, ss appliances, tile floor, and pantry. formal dinning room, Hardwood floor thur out, master with ceiling fan, large walk in closet, Laundry on main floor washer and dryer included, 4 car garage, Large fenced yard, patio, trees, rocks. also house is next to park. All data deemed reliable but not guaranteed, buyer to verify all information.